In the state of Missouri, finding good insurance is important, whether you’re searching for home insurance or auto insurance. If you own a home, it’s important to protect your home and your possessions with a quality insurance policy. Some of the basic coverages available in Missouri include additional living expenses, medical payments, property damage, and personal liability. However, since coverage options vary greatly, it is important to talk to an agent from The LaVigne Group to find out which option will bet the best fit for your unique home insurance needs. The law in Missouri requires that you have auto insurance if you own and drive a vehicle. You will be required to show proof of insurance when you register your vehicle or renew your license plates. The minimum amount of auto insurance required in Missouri includes uninsured motorist coverage. Of course, while you must have the minimum amount of insurance required by state law, additional coverage may prove helpful. To ensure that you’re not caught without the level of auto insurance you need, consider talking to a LaVigne insurance agent to find out how to get the best protection for you and your vehicle. Missouri home and auto insurance are both important, and while you want to make sure that you have adequate coverage, you also want to find policies that fit into your budget. 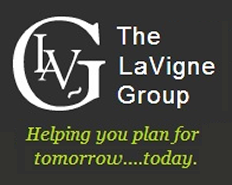 Quickly compare home and auto insurance quotes online in just minutes with The LaVigne Group, ensuring that you find the best option for your needs and your budget. We can help you save money while helping you keep your home, automobile, and family protected.